Bruce Springsteen is making a much-anticipated return to Toronto on September 30 to perform at the Invictus Games Toronto 2017 Closing Ceremony, presented by Jaguar Land Rover and the Government of Canada. 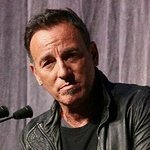 Springsteen’s performance will honour the achievements of the 550-plus wounded, ill and injured service members and veterans from 17 nations during the third edition of the Invictus Games. Tickets for the Closing Ceremony start at $60 and are available through the Invictus Games Toronto 2017 website. The Grammy award-winning artist will join Bryan Adams, Bachman & Turner, Kelly Clarkson and Coeur de pirate on stage at the Closing Ceremony. On September 23, Canadian sensations Alessia Cara, Sarah McLachlan and The Tenors will perform at the Games Opening Ceremony. The Closing Ceremony will mark the Games’ conclusion after seven days of inspirational competition. The 2017 Invictus Games will feature a dozen adaptive sports in state-of-the-art venues throughout Toronto. Toronto is playing host to more than 550 competitors from 17 nations, including 90 competitors from Canada.